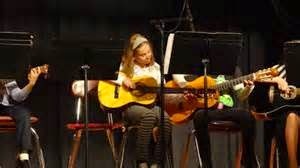 The Noel Pointer Foundation presents FIDDLEFEST, featuring young musicians, at 2 p.m. Saturday, March 28 at Prospect Heights High School, 883 Classon Ave. The foundation encourages inner-city young people to become adept at playing string instruments. Its namesake was a Grammy-nominated jazz violinist and composer. At age 13, he made his solo debut performing Vivaldi with the Symphony of the New World Orchestra, followed by guest solo appearances with the Chicago Chamber Orchestra and Detroit Symphony Orchestra. He began playing jazz violin while a student at New York City's High School of Music and Art. While attending Manhattan School of Music, Pointer worked as a New York session musician. By age 19, his experience as a free-lance musician included continuous work in The Apollo Theatre Orchestra, The Unlimited Orchestra, The Westbury Music Fair Orchestra, The Radio City Music Hall Symphony, The Love Unlimited Orchestra (US Tour), The Dance Theater of Harlem Orchestra, The Symphony of the New World Orchestra, and the pit orchestras of several Broadway shows, like Dreamgirls. In 1981 Pointer was nominated for the Grammy for Best R&B Instrumental Track. Pointer's reputation as a noted jazz musician and literary advocate garnered him honorary citizenship in cities across the United States. He received special citations from Congress, the African National Congress,and many other civic and private organizations. He served as a music advisory panelist for the National Endowment for the Arts and the United States Information Agency. Pointer had affection for audiences in inner-city communities, where he loved to perform and bring his unique sounds of jazz. He also greatly enjoyed working with children and families. Pointer believed that learning to play a string instrument is a transformative experience that advances children's lives.